How Does Solar Shading Benefit the Work Environment? For companies concerned about escalating fuel prices, energy security, climate change, and daylight quality control, solar shading continues to be a central issue in the design of office buildings. Exposure to natural sunlight has been shown to tremendously improve office employees’ quality of life and sleep, boost their happiness and energy levels, and improve productivity in the office. Sunlight can change moods, affect perceptions of color and space, and make the office appear as a welcoming, friendly environment. Too much of it, however, can cause excessive heating, disturbing glare, and general discomfort. Controlling daylight quality to optimize comfort and create the right ambiance is, therefore, essential to the productivity of modern workspaces. However, designers’ quest of creating energy-efficient buildings is further impeded by the growth in popularity of a new global architectural and engineering trend: the use of glass in office building facades. Highly popular due to their transparency and numerous design opportunities, glass facades are known for causing overheating problems and thermal discomfort. Glass throws back heat into the atmosphere causing a greenhouse effect and contributing to the increase in air-conditioning use. The high solar load caused by glass facades leads to elevated energy consumption even in regions with moderate climates, and also yields visual problems (direct and reflected glare). To mitigate the negative impact that excessive sunlight has on the building’s energy consumption and occupants’ comfort, more companies are installing solar shading solutions able to control sunlight infiltration more effectively than other soft window treatments. Whether you choose to install interior or exterior roller shading systems, you will enjoy significant benefits in terms of temperature control, daylight control, and energy savings. Nowadays, virtually all residential and commercial buildings are built with glass. Building occupants love the natural light allowed by glass inside, they enjoy the privacy inside and the visibility outside, and they are more likely to be satisfied with their jobs when exposed to proper lighting. On the other hand, nobody appreciates the glare sunlight causes on computer and TV screens, the excessive heat, the thermal discomfort, or the faded colors of the furniture and fabrics. Reduced glare that will, in turn, minimize the risk of a serious of eye and vision problems, including dry eye syndrome, blurred vision, burning or itching eyes, eye strain, etc. 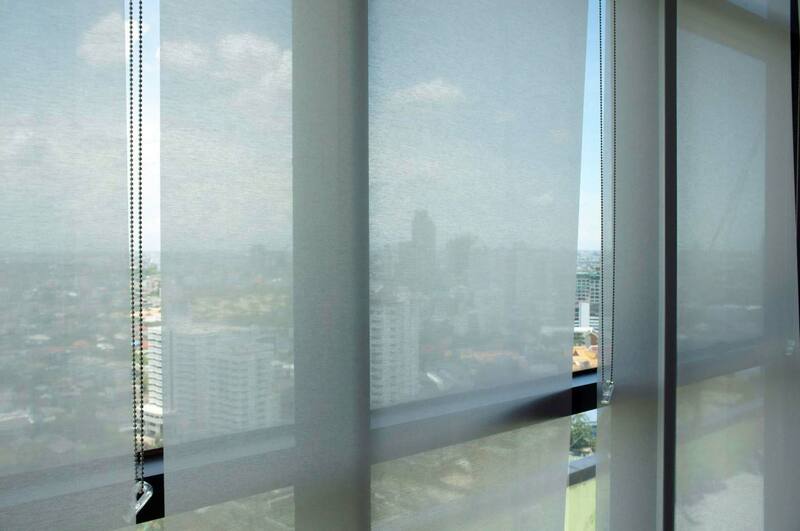 Architects and designers in North America have long preferred interior shading systems such as blinds, drapes, blinds, verticals, and Roman shades to protect interiors from the sun, but in the last decade, this trend has slowly started to shift. With a growing body of research demonstrating the increased effectiveness of shading from the exterior, designers are no longer deterred by the initial higher cost or aesthetic considerations of exterior shading devices. Energy efficiency. 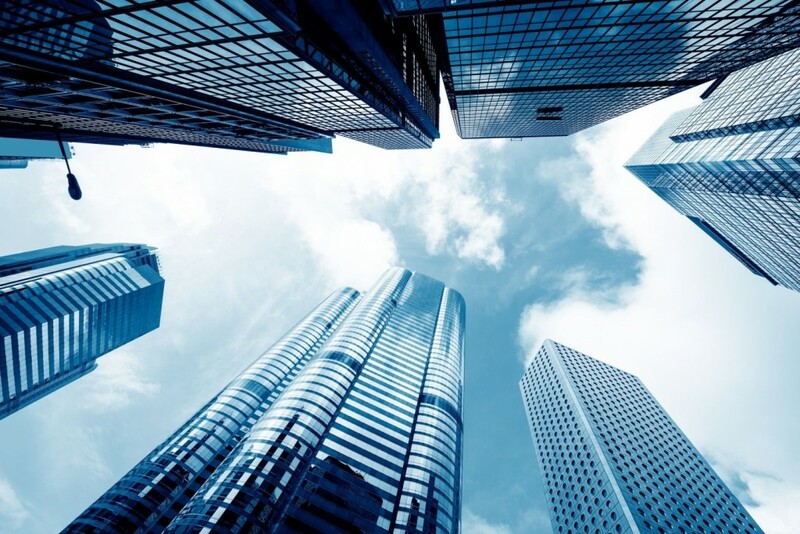 Office buildings with large glass facades have reported lower air-conditioning costs by 50 percent. Sun protection. Shades block up over 90 percent of sun’s radiation and over 95 percent of harmful UV rays. Noise reduction. Sound-absorbing window shades are able to reduce noise by up to 50 percent, reducing the tremendous impact that noise has on the individual (e.g., decreased productivity, increased illness, fatigue, lower morale, stress, lower job satisfaction). Glare reduction. This will dramatically reduce the strain on employees’ eyes and will make it easier for them to focus on their work assignments. Privacy and security. Exterior shades allow building occupants to retain visual contact with the outside without limiting their privacy. Roller shades and other shading solutions can become an integral part of your office with the potential of meeting both the functional and aesthetic requirements of the building. 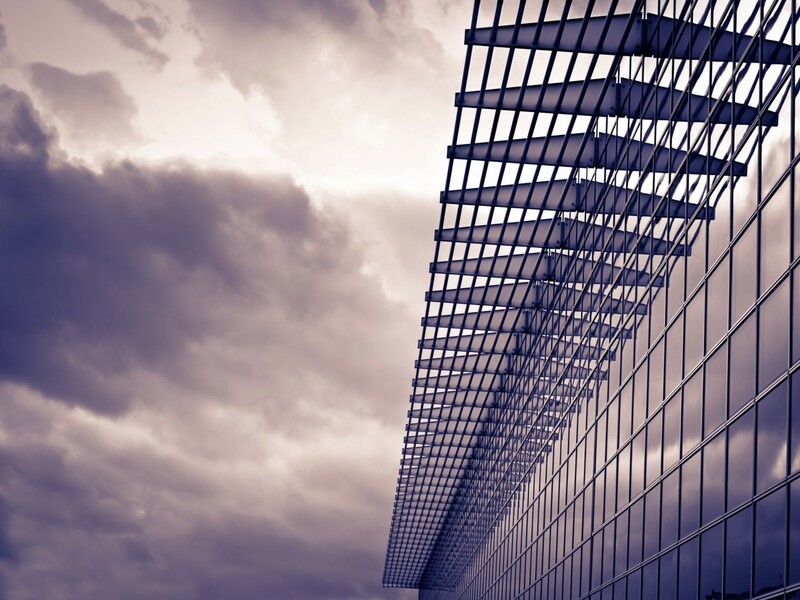 Contact your local solar shading system provider to learn more about increasing your building’s energy efficiency and reducing energy consumption.